The Liebherr 2016 European Championships (18-23 October) in Budapest, Hungary includes 5 individual events: Men’s Singles, Women’s Singles, Men’s Doubles, Women’s Doubles and Mixed Doubles. Interesting Story: Born in Ukraine, Ovtcharov moved to Germany following the Chernobyl disaster. 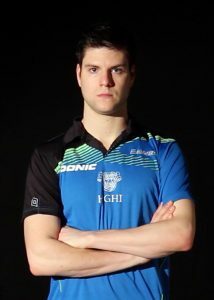 Ovtcharov swept all major titles in Europe in 2015. His wife gave birth to a baby girl after the Rio Olympic Games. 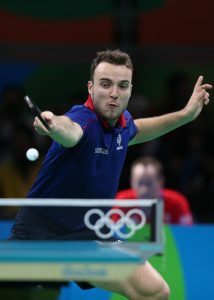 Interesting Story: His younger brother Paul also plays table tennis and is currently ranked 269th in the world. Gauzy won several titles in European Youth Championships, can he now shine on senior level too? Career Highlights: 2012 European Championships Doubles Silver, 2014 CL-Winner with Pontoise. Interesting Story: The Swedish number one was the most successful player at the 2016 Men’s World Cup. 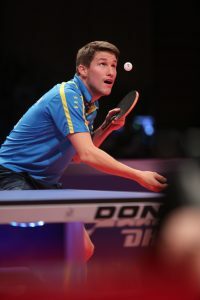 He defeated Dimitrij Ovtcharov and Simon Gauzy in Saarbrucken and took the fourth place. Can he show his tremendous form again? Interesting Story: Han reached her career high ranking of 8th in October 2015, after winning the Austrian Open. She is also a mother of one daughter. Interesting Story: Also known as Eliza, she is the only European woman to have advanced to the finals of the Women’s World Cup. Samara also became the third Romanian woman to win the European Singles title when she won the European Championships in 2015. 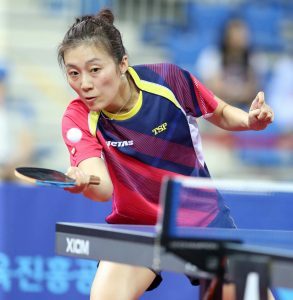 Interesting Story: Pota, born and bred in Budapest, won her first major senior title at the 2007 European Championships in the team event. She’s also named the Hungarian Table Tennis Player of the year for 2004, 2012 & 2013.